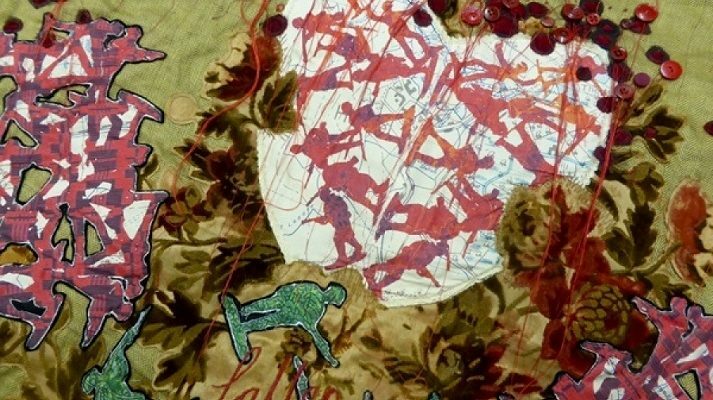 Morwenna will provide some images, texts about conflict and resolution and a variety of vintage fabrics to help us think about the journey of conflict in an abstract or personal way or to home in on historical or current narratives. Participants can email their images and lines of text in advance to be printed onto silk or cotton. Morwenna will also bring her camera/laptop/printer and do them on site. Feel free to bring your own sewing boxes, sewing machines and any fabrics or you wish to use. We will also work by hand on embroidery hoops.